Recommended readings with cool crafts for kids and a fun-filled summer. Plan ahead for a summer filled with fun activity and learning. Mid-July. Any day now, your kids can come up with the dreaded “I’m bored. I have nothing to do + nothing to play with” – revelation. As you have no Thing 1 and Thing 2 to pop out of your hat, be prepared in other ways. 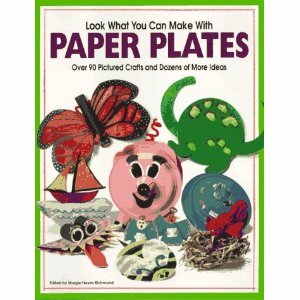 Shop now for some great summer craft project books. Here’s a fabulous list of Craft Books for Kids with summer crafts to learn and enjoy, and produce wonderful things for your home, to play with, to give away or to eat. These 10 recommended craft books for kids, filled with projects to keep those little hands and minds busy, all summer long. Most books explain a range of craft techniques associated with different projects. I have found that some books are specially geared towards girls, and other that are perfect for boys. In my list below, there are craft paint books. Of course, there are some focused on eco-friendly crafts, because after all, I am an environmentalist. You will find kids summer crafts that are designed as summer camp crafts. Don’t worry about that as they would make equally good summer kids crafts for home or beach. Last but not least, I have included my personal favorite books in this book list. I am starting with a favorite. This great craft book by Lin Wellford offers well-planned ideas on how to create a wonderful free summer craft using the rocks your kids have found while on summer camp, hiking, or playing on the beach. While its ideas could be called ‘summer outdoor crafts with rocks’, the actually painting of the rocks can be done equally well on an outdoor picnic table, as an inside craft table. Check the link here, because I have seen ‘Painting on Rocks for Kids’ advertised on Amazon for less than $1.50! Can’t beat that price for such a wonderful book. The craft book is classified to be for children ages 9-12. However, it’s really perfect for beginning painters of all ages! This books explains how to paint fish, cars, lizards, flowers, dinosaurs, food, mystery eggs, bugs, houses, bears, faces, names and words on rocks. Personally, I have ventured into painting abstract art & hearts on rocks. I must say, that hand-painted rocks have always been popular home decorative items, and make great gifts also. This fun-filled summer kids crafts book is a more general kid crafts book. 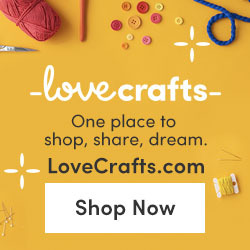 It has over 100 projects, ranging from novel ideas for cards, gifts, decorations and accessories, attractive ways to jazz up a T-shirt or create a costume, and delicious recipes for fancy cakes and other edible treats. Each craft project comes with easy-to-follow craft instructions including an at-a-glance guide to age suitability, time taken and materials needed, while handy templates allow you to cut the perfect shape. 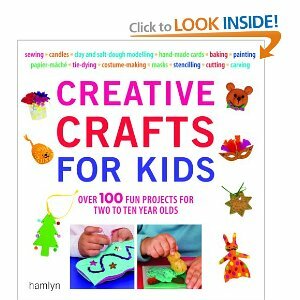 This craft book suits 2-10 year olds and most of what you’ll need is in your cupboards already, on in grandma’s cupboards for that matter. Take the book along when visiting relatives, I’d say. This crafts book by Margie Hayes Richmond is centered around the #1 summer party supply, which will be available in great abundance this summer: paper plates!! Perfect to take along when going over to a barbeque party with friends and giving the kids something to do while you sip a drink and relax. 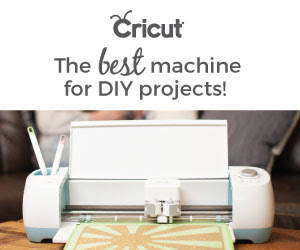 It’s of course best if you pre-plan your craft activities, so that you’ll bring all the necessary craft supplies for you kids’ projects of choice: scissors, tape, colored paper, glue, markers, and other craft tools. This book is really a craft project, and it really is a summer crafts for girls. 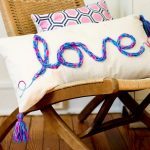 If you have a girl at home, she’ll love summer arts and crafts like these. It is simply adorable. This girls summer crafts kit contains, 1000+ sticky foam and jewel pieces, 1 jewelry box, mosaic-by-number butterfly design. The box, when assembled, is 8″ x 6″ x 4.25″. The mosaic-by-numbers kit contains more than 1,000 sticky pieces that, when applied, create sparkling butterfly and flower designs on the included pink box. The box is outlined and numbered to indicate where each mosaic piece goes. And the sticky pieces are ready to apply–no glue needed–making this craft project mess-free and ready for play. No tools required. This Orb Factory Sticky Mosaics Jewelry Box offers a fun and functional project to girls aged 5 years and up. The days when you are struggling to think of new ways to have fun with the kids are over! There is lots of variety in this all-mighty craft book: some craft projects require no prep, and can be done in half an hour; others are sophisticated and involved arts & crafts ado’s. And it’s not just a bunch of arts and crafts: this book offers lots of games and activities for everything from snowday fun to a day at the beach. So, games, quick crafts, kitchen crafts, party games & plans, backyard games, rainyday play, play to suit the season, brain boosters, gardening inside and outside… you get the picture: this book has all. Weights a ton, costs nothing: lowest Amazon price for about $2 for a 2.8 pound book. Now that’s a deal. by Daniel Carter Beard, who is the co-founder of the boy scouts of America. Do I need to say anything else? If your kids are not going to camp this year, then just get this book, I’d say. On how to create environmentally friendly art, this craft book is by Laura C. Martin for grade 3-7. It actually is much more than just a craft book. What is a real asset of this book is its history of trash. There is a colorful illustration of the "trash timeline", and it shows how the invention of disposable products and packaging has created increasing waste. There is also a diagram of the "anatomy of a landfill." ‘Recycled Crafts Box’ is perfect for teachers planning Earth Day activities, but it is about time that we realize that EVERYDAY is Earth Day. So, allow your children to celebrate all moments on earth with this wonderful resource. The book is organized into sections based on common recyclable materials (paper, plastic, metal, fabric), the easy-to-follow, mostly appealing projects include a "Fancy Foil Fish" aluminum mobile, paper jewelry, and milk-carton castles. Each section has useful information about the material being used, such as a chart that deciphers the codes used in various plastic products. Throughout, Martin makes suggestions for "living lightly" on Earth. Besides being a substantial resource, this book is also a delight to work with, being cheerfully illustrated with cartoons and color photos of the finished projects. This craft paperback introduces children to the excitement of the natural world. This guide to outdoor adventure provides hours of creative, safe, and fun activities. Children will learn how to build a den from branches, make twig boats to sail across a pond, and voyage through the backyard to find tiny insects and creatures. Activities include invigorating games, natural crafts, and lively adventures, all of which are organized by season. An additional chapter also addresses safe activities for children after dark. Perfect for families, caretakers, and educators, this creative resource encourages children to turn off the television and play outside all year round. This book is officially geared to children age 9-12, however I have heard of educators using the materials presented for pre-school nature classes as well. 9. Gifted Girls: Activities Guide for 365 Days of the Year: Fun Things to Do for Kids and Grown-Ups That’ll Develop Creativity, Social Skills and Self-Confidence! This book is a companion to the popular Gifted Girls series, which combines lessons in life, history, and culture to provide positive themes for girls growing up today. 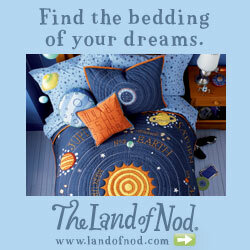 It offers a host of activities to offset the dreaded call, "Mom, IÃ‚Â’m boooored!" No matter what their interests or experience level, girls can open any page of this book to find an activity to stir the imagination. Subjects range from crafts, —including instructions for creating a wall mural and making flower-shaped pincushions, —to new games. And what girl does not love to eat sweet treats? 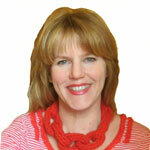 Gow offers lots of fairly easy recipes for girls to make and share. As starting a new craft project can be scary, girls can work together with friends or parents. The book also uses the characters from her Gifted Girls series as guides. While the book is for girls age seven and older, seven-year-olds are unlikely to be able to handle the projects alone. Older girls can read and follow the instructions without help, although Gow encourages parents to be involved or supervise activities. While some of the more complicated projects would benefit from illustrations, the straightforward steps are clearly written and easy to understand. Some activities involve cost, going to a hockey game, for example, or taking tap dancing lessons. Others are low- or no-cost. The book is a wonderful antidote for rainy-day boredom, especially for girls who have read the Gifted Girls series. This paperback is not only a great resource for kids, but also for beginning gardeners. If you find yourself feeling daunted by information in other gardening books…complex soil testing, amending, feeding, etc., opt for something like this one. This book takes similar information and makes it understandable. Hence, the results seem actually achievable!! Particularly helpful is the information on easy-to-grow vegetables, easy-to-grow flowers and the chart for diagnosing and solving growing problems. You can actually do this, and your little ones too! A fascinating book with over 50 easy, fun projects for kids of nearly all ages, including: growing potatoes in tires, building a gardening tool station, making a purple martin house from a gourd, and discovering the joys of composting. Clear, simple explanations of plant physiology, and discussion of other garden-relevant wildlife such as birds and bugs, make this a great teaching resource as well as a how-to book. Even when your little ones are not (yet) bored at home and happy to be with mom, any or all of these summer kids crafts books offer inexpensive ways to organize the kids (cousins) to play together nicely. There are lovely craft projects for summer camp, family ge- togethers, camping trips, or a child summer birthday party. 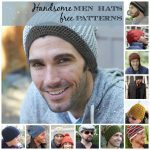 With over 400 tutorials, this website, FineCraftGuild.com, has become an free online CRAFT ‘BOOK’, that you can access wherever you are. Tons of projects with free downloads, templates and craft tutorials. What’s nicer than a book-book is that the number of craft ideas & projects to choose from, grows by the day. 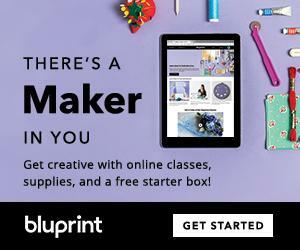 Bookmark this site and come browse around any time for kid craft ideas. 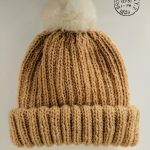 Let me know if you find what you need, and how you are using this site. 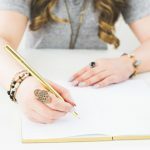 I am interested in hearing back from readers on how to make this craft blog a premiere craft destination online.